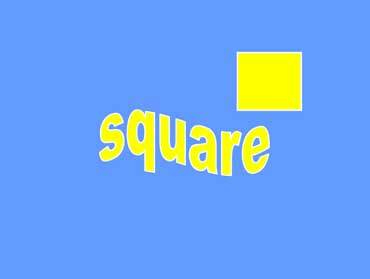 This is a yellow square. Squares have four sides. All four sides are the same length. Square items: tables and windows. This is a green rectangle. 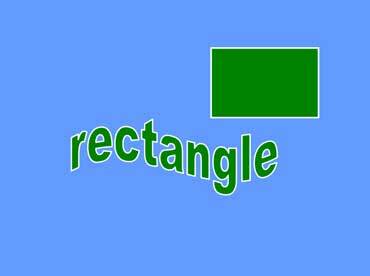 Rectangles have four sides. Opposite sides are the same lengths. Rectangle items: doors, tables, and notebook paper. 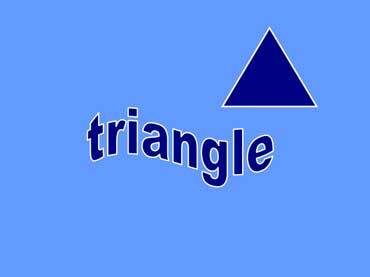 This is a blue triangle. Triangles have three sides. The sides don't have to be the same length.